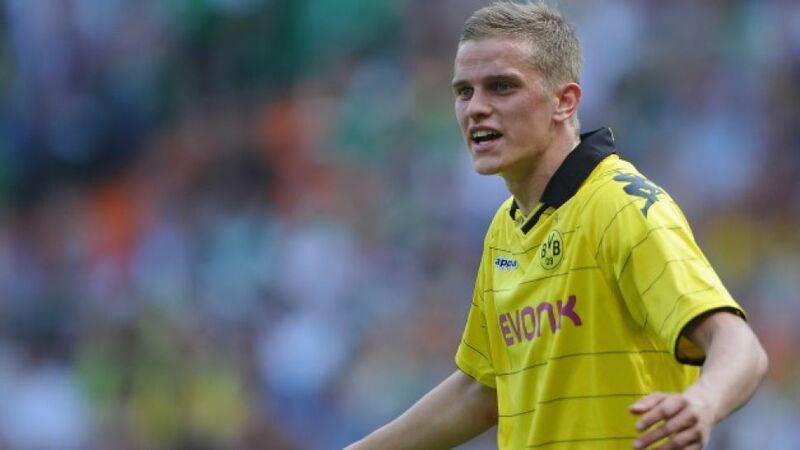 Football is more than a common denominator in Sven Bender's family. His identical twin brother Lars plays for Borussia Dortmund's Bundesliga rivals Bayer 04 Leverkusen, and the siblings don't just share their passion for the beautiful game. Both play in the same position, both started their careers together with SpVgg Unterhaching and 1860 Munich, and both Rosenheim-born midfielders are now fully-fledged Germany internationals. There was not room enough for both in Joachim Löw's Euro 2012 squad however, and it was Sven who drew the short straw. That disappointment aside however, the Dortmund half of a pairing Germany's assistant coach Hans-Dieter Flick can only tell apart "by the length of their hair" has had more to celebrate on the field so far. He moved to BVB in 2009, pre-empting his brother's transfer to Leverkusen by a matter of months as the inseparable twins were reunited in North-Rhine Westphalia. Sven's first season in the top flight of German football ended with a total of 19 appearances and he went on to play 31 times as Dortmund clinched the title in 2011. Injuries notwithstanding, he also went on to play a major role in the Westphalians' league and cup double success in 2012. Known for his ability to consistenly cover upwards of twelve kilometres during most matches, the hard-running holding midfielder once again played his part in BVB's success during 2012/13 and is now closing in on 100 league appearances for the club. Of the three Bundesliga goals Bender has to his name, two have been scored against VfL Wolfsburg, including the Yellow Blacks opening goal on Matchday 33.